mwe3: Can you say something about where you were born, where you live now and what you like best about it? Aaron Clift: I was born in Durham, North Carolina and lived in Chapel Hill the first year of my life. I honestly dont remember anything about it, but I hear lots of stories from my parents. My earliest memories are from when I lived on a harbor in Centerport, New York when I was 7 to 10 years old. A lot of my happiest memories are of boating, going to the beach, and fishing. I think that may be another reason why beach and water imagery crops up in a lot of my song lyrics. My family first moved to Austin, Texas in 1984 and then permanently in 1990. Ive lived here off and on since then. I love how vibrant the music scene is here and how the people here are very friendly and laid-back. I also have to remind my friends who live outside of Texas that Austin is a liberal oasis in a very conservative state! mwe3: When and where was Lonely Hills written and recorded and how were the songs constructed in the studio? Who plays what, and were there other people involved in the making of the CD, including mixing and mastering? 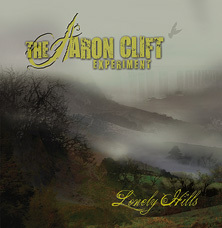 Aaron Clift: I wrote Seven, Lonely Hills, and My Andalusian Love in 2008. 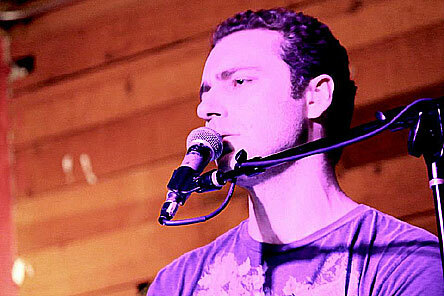 At first, it was just me on vocals, Joe Resnick on drums, and my friend, Julianne Brown on piano. I didnt have a synthesizer at the time and needed the extra help for the keyboard parts. At first, I thought the songs would just be rock-influenced classical music, but after I listened to the demo we recorded in late 2009, I realized that I wanted to move everything in a more rock-oriented direction. I bought my Open Labs synthesizer in early 2010, took over keyboard duties, and decided to add guitar and bass to the songs. I spent 2010 2011 reworking the 3 songs from the demo as well as writing the other 7 songs that appeared on Lonely Hills. 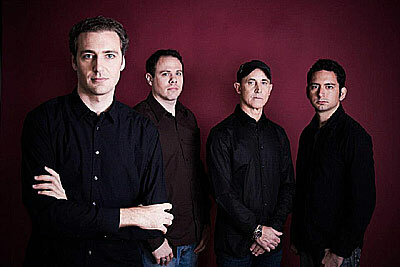 In late 2011, Joe Green joined on bass and Jim Ragland joined on guitar, completing the band lineup. 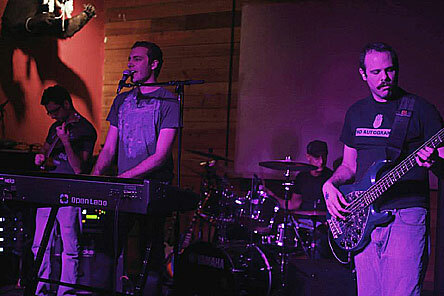 We held a few rehearsals in early 2012 before heading to the studio in February 2012 to record the album. 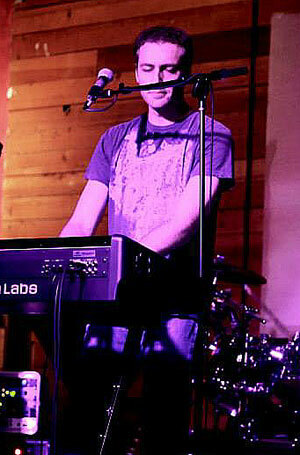 In the early days of the band, nobody knew how to play the songs except for me. Since I wrote all the guitar, keyboard, and vocal parts for the album, I ended up transcribing them into traditional notation and tablature as well as providing chord charts to everyone in the band. If you watch our documentary, The Making of Lonely Hills, youll see everyone reading from sheet music when we were recording in the studio. It was a very classical approach to learning music... something that all of us in the band thankfully had experience doing. But ultimately, this was a painstaking process weve since moved away from. As everyone in the band has gotten to know each other musically, weve taken a much more rock and roll / jazz approach to learning and creating songs. 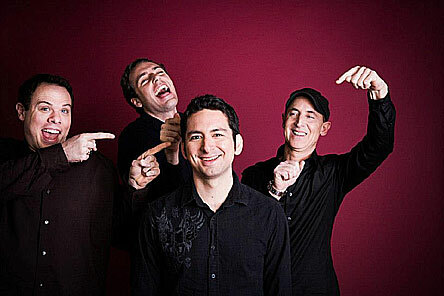 Besides my talented band mates, three other people had a significant role in shaping the sound of Lonely Hills: producer Matt Noveskey, who helped keep the recording process focused as well as fun, engineer Kevin Butler, who is a wiz at putting together the best bits of a performance and mastering engineer Jerry Tubb, who has mastered thousands of albums and knew exactly what needed to be done with this album. mwe3: What does the title Lonely Hills signify and what is the story line throughout the music? What can you tell us about the cover art and who designed it? It seems to fit the mood of your music. Aaron Clift: The story in the song, Lonely Hills, is ostensibly about a breakup, but on a deeper level is a tale of existential loneliness. The protagonist is trying desperately to connect with the love that hes lost but is stuck trying to climb a hill that he cant cross. The theme of despair versus hope in this song is something that crops up in several other songs on the album, but I feel that Lonely Hills is the thesis statement of the album. I wanted the album artwork to reflect a sense beauty and romanticism combined with bleakness and angst. Our graphic designer, Danielle Powers, did a fantastic job of capturing these emotions in the album artwork. She also designed The Aaron Clift Experiments lettering and bird logo. Check out her other creations at www.blackmarkerdesign.com. mwe3: What are your favorite songs on the Lonely Hills CD? To my ears, Seven is one of the best prog-rock songs of 2013. Also the CD closing Eye Of The Storm, pt. 4 of The Castaway Saga is a great way to close the album. What inspired those tracks? Aaron Clift: My favorite songs from the album are Shipwrecked and The Shell. I feel like these songs really showcase the range of the band, have the best guitar solos on the album, and really come alive in a live setting. Seven was actually the first song I wrote for The Aaron Clift Experiment. I wrote it in 2008 after a period of seven years I like to call my quarter life crisis. It was a time when I was very unsure about my future and what I wanted to do with my life and career. The lyric, seven years, I have wandered, was the first thing that came to my head when I reflected on what I had been through. I definitely felt like I had just gone through a difficult journey of discovery and wanted to somehow capture the frustration of that time period in song form. The idea of including superstition and luck imagery in the song lyrics came directly from the phrase, seven years of bad luck. Im thankful that Im in a much better place with my life now! Eye Of The Storm is a song that was inspired a lot by the Tom Hanks movie, Castaway, in particular the scene in which Hanks character finally makes up his mind to sail away from the deserted island. In Eye Of The Storm, the protagonists journey into the ocean is a decision to move from despair to hope. In an album full of angst and minor key songs, I wanted to end everything on a more positive note. mwe3: How do you compose the music and is it transcribed and what role does the computer play in writing and composing and recording music? What comes first, music or lyrics and how does coming from a classical music background impact your symphonic prog-rock sound? Aaron Clift: When it comes to song writing, sometimes Ill have a music idea first that Ill hammer out on piano or guitar, other times Ill write out a chord chart, and still other times Ill have a poem written before any music is even written. But whatever I do, I always approach song composition in a writerly fashion. I find it very difficult to shape and develop my musical ideas if I dont know what Im writing about. Usually all I need to get going is a good lyric or a provocative song title. This approach probably has to do with the fact that I started off as a writer long before I wrote music. I wrote my first poems and stories when I was 10. When I was 12, I read The Hobbit and Lord Of The Rings for the first time, and that pretty much started my lifelong obsession with the fantasy novels and subculture and ignited my interest in writing. In high school, my creative writing teacher introduced me to poet, Robert Bly  both literally and figuratively. Besides reading his poetry in class, I got to interview him for our literary magazine. Meeting a poet of that stature was one of the most exciting moments of my teenage years. In college, I was a Spanish and music major. During that time, I got into romantic and modernist Spanish poets such as Federico Garcia Lorca, Luis Cernuda, and Jaime Gil de Biedma. Besides my literary influences, I think my classical background heavily shaped my approach to song writing. I started playing viola in school orchestra when I was 12 and played all throughout junior high and high school and then switched to voice in college. During this time, I was listening to a lot of rock music of the day like Alice in Chains, Nirvana and Soundgarden. I still love these bands, but the classical music I was studying really made me think of music in a much more expansive way. If a well-constructed piece of music could be anything from a 1-minute Chopin etude to a 40-minute symphony by Beethoven, then I realized that anything was possible within music. What attracted to me to progressive rock was how it combined all the things I loved in art  the literary influences, the symphonic approach of classical music, the power of rock  all into a beautiful whole. When I heard albums like Selling England By The Pound, In The Court Of The Crimson King, and Images And Words, for the first time, I felt like I had found my calling. Its really a dream for me to be making the same kind of music that so deeply inspired me. mwe3: Can you say something about your favorite gear used on the CD and which instruments and musical companies seem to suit your sound? In addition to your favorite instruments, what amps and sonic effects do you use to color and enhance your sound? Aaron Clift: For all of us in the band, its all about versatility and color. We used a wide variety of instruments to capture all the different sounds we needed to get for the album. 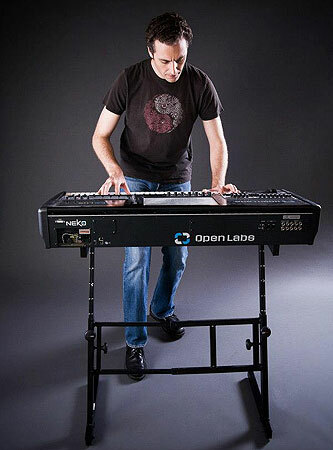 I use an Open Labs Neko LX5 synthesizer for all of my keyboard parts. Since all of my sounds are software-based, Im able to produce the same sounds in a live setting that you hear on the album. I used Komplete by Native Instruments for about 75 percent of my sounds, and 25 percent other programs such as Purity by Luxonix, True Pianos by 4 Front for all the acoustic piano sounds, and Crystal by Green Oak Software. I love mixing and combining effects, and the Open Labs software makes all of this possible. For example, the keyboard part in the section in Shipwrecked just after the guitar solo features a mix of mellotron choir, real choir, and about 8 other synth patches. I would have never been able to get a sound like that live or even in the studio 20 years ago. For guitar sounds on the album, Jim Ragland used mostly his modified 1973 Telecaster and 1940 Martin guitar, a Gibson amp, and Marshall amp. Danny Brymer, our new guitarist who joined in February 2013 after Jim left the band, uses primarily a Jackson SL-3 soloist guitar and Blackstar HT-40 amp. He has a ton of other gear as well that you can read about on his web site. 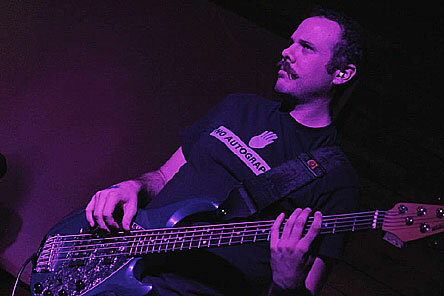 Joe Green, our bassist, uses a Music Man 5 string bass and Aguilar cabs. One of the cool parts about making Lonely Hills was that our producer Matt Noveskey, bassist for rock band Blue October, also happens to use Aguilar cabs. Matt ended up lending Joe a ton of his own pedals and basses when we recorded the album. mwe3: How do you work at becoming a better musician and how do you plan on improving musically, sort of evolving in the future? What areas as a musician do you need to focus on more and how does practicing music compare to writing music? 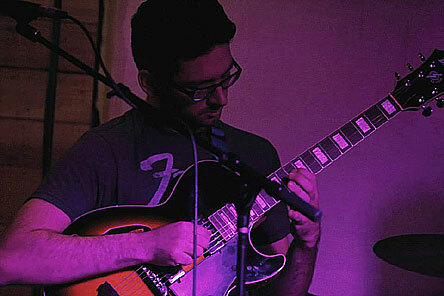 Aaron Clift: For me, improving as a musician is all about becoming more open-minded about other forms of music. When I was a teenager, I used to hate most mainstream pop music and wouldnt give the genre a chance. While I still tend to prefer more adventurous music, Ive come to appreciate and enjoy a lot of current pop hits as well. I feel like its important for me to know about current trends in music even if I dont plan to use them in my songs. At worst, I know what I dont want my music to sound like, and at the best, I feel more connected to the world around me and less stagnant as an artist. On a personal level, I want to become more versatile with my own craft. Progressive rock is such a wide-ranging genre, and I feel like The Aaron Clift Experiment has just scratched the surface of what were capable of doing. It continues to astound me how my musical heroes such as Frank Zappa and Led Zeppelin were masters at so many styles of music. Thats what I want this band to be. mwe3: Whats been the reaction to the Lonely Hills album by the media, radio, print, internet and which mags, radio and web sites interest you the most? Has the internet replaced magazines as the dominant and most useful tool as far as music marketing? I know you were involved with Prog magazine in the UK. Prog mag are doing a pretty good job! mwe3: Being that the world is so big and with prog bands in every country, how are you planning to cover all the bases to get your name further out there? How can you market and further get your name and music into the world? 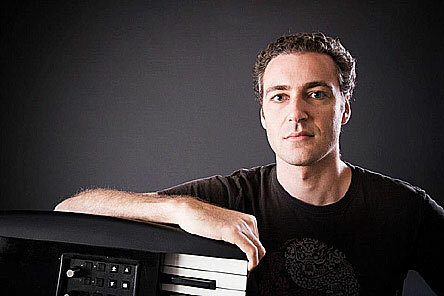 Aaron Clift: I love how the Internet has brought music fans and communities together. Ive met some truly amazing musicians and music fanatics through concerts Ive attended, message boards Ive been a part of, and progressive rock clubs Ive joined. All along the way, Ive told people about The Aaron Clift Experiment, so for me, building a sustainable career is all about networking and gaining new fans one person at a time. mwe3: What are your plans, musically and otherwise, for 2013 and 2014 moving forward? Aaron Clift: Now is a very exciting time for The Aaron Clift Experiment! Danny and I just started writing new songs for a second album which we hope to release sometime in 2015. 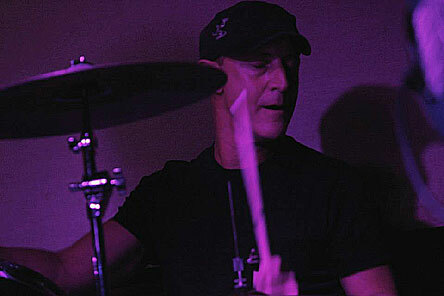 In the meantime, we as a band are continuing to book larger gigs and do more shows with other progressive rock acts. Were a pretty new band, so we havent played outside of Austin yet, but we hope to change that in the next year by playing shows in other Texas cities. We have a lot of fans in Europe, so I hope to organize a tour there sometime in the next 4  5 years.